Just tried it in Firefox with the Plugin Adblock Plus – same result. No chance to eliminate the ads at kicker.de? Do you have any examples of those ads? Post a screen-shot of the page with one of them showing up. Here I couldn't see any ads. If they change its ads code then you have to use manual tools to block them or wait until Easylist lists are updated. You can search for Userscripts also to block ads. Hmm, have to search for a solution and/or another ad blocker. 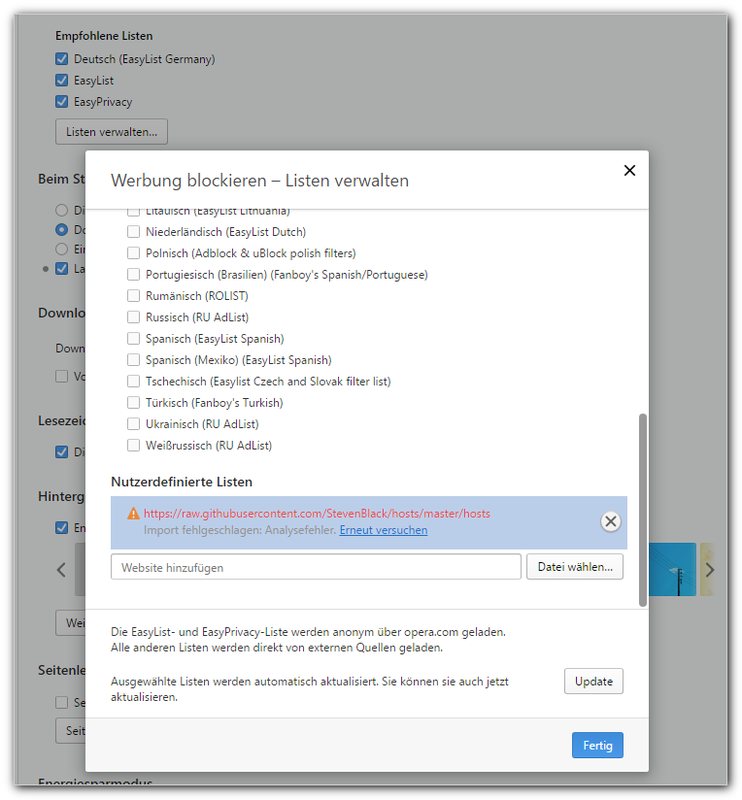 Try enabling "AdBlocker warning removal" in Adblocker settings. I'm not seeing ads but could be because the HostsFile also, check at "StevenBlack Hosts" if you need. For the hosts file, HostsMan is the easiest way I know to manage it. You have to add the Non Github mirror link from StevenBlackHost site in HostsMan sources to auto update the hosts file. You could edit the file using the notepad also, but HostsMan it's easy and very useful.